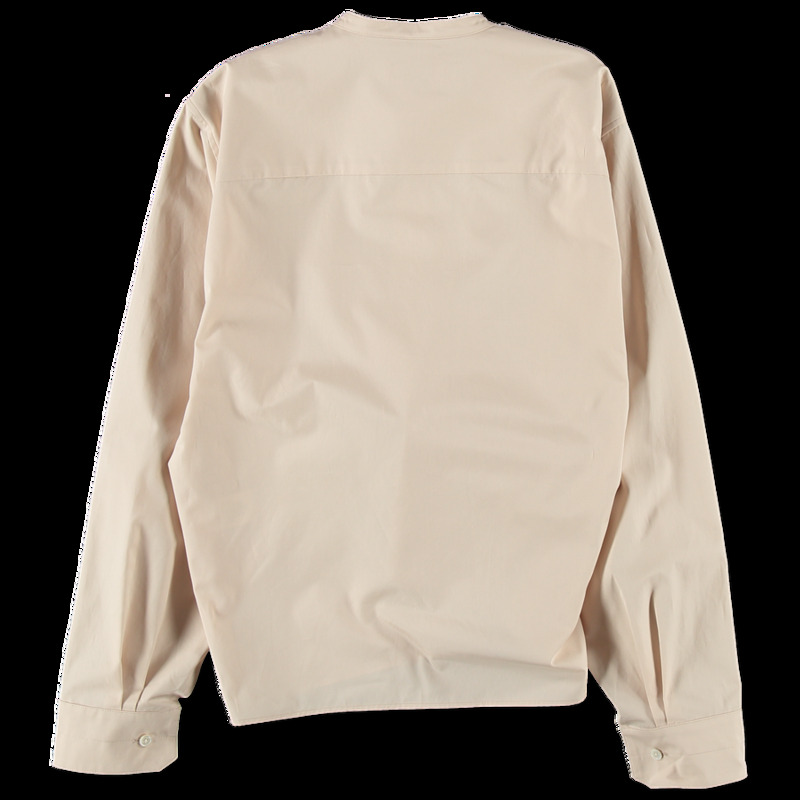 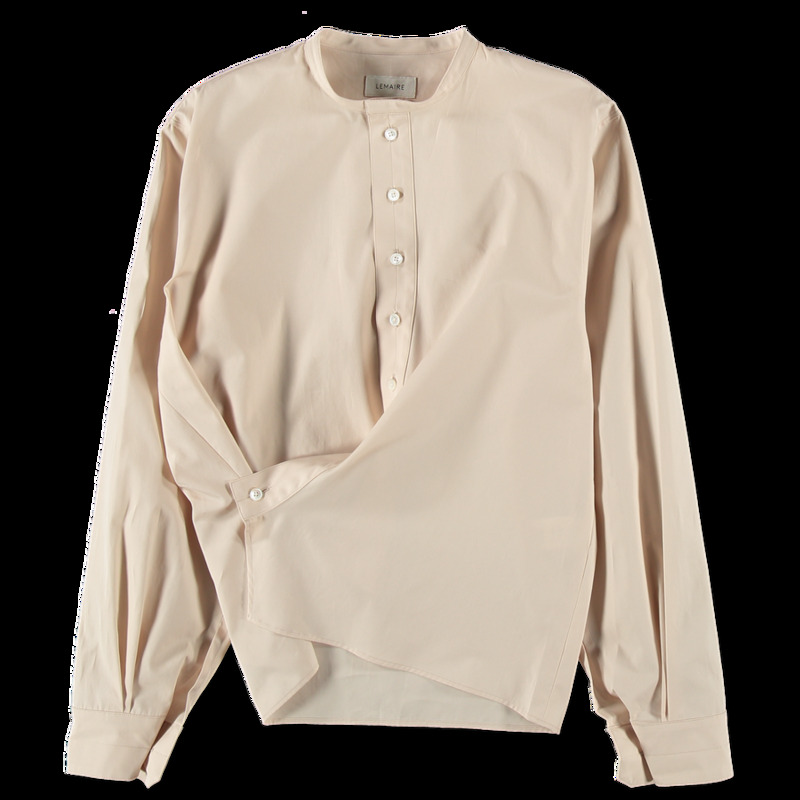 Twisted Shirt from Lemaire. 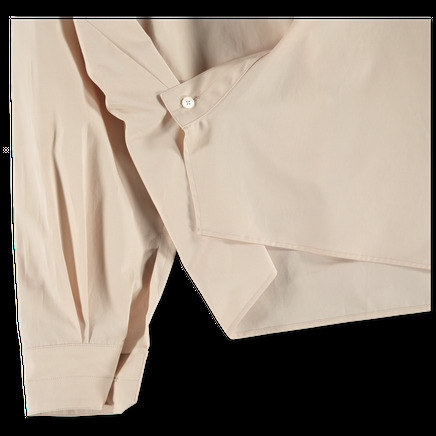 Tailored cotton collarless shirt with a decorative twisted button fastening, Wear it straight or with the twisted bottom hem. 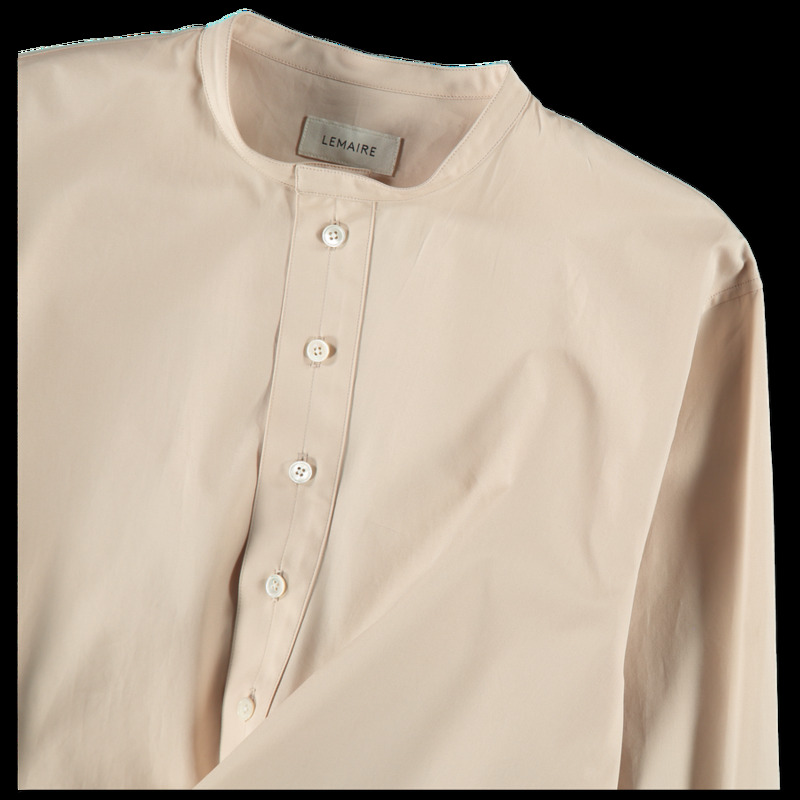 Buttons at cuff and button placket. 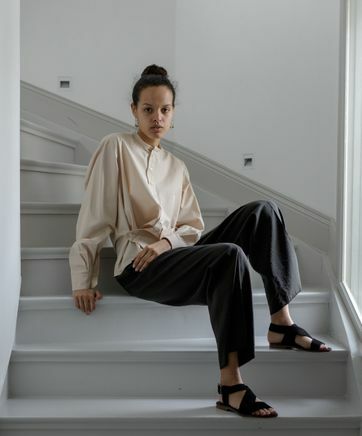 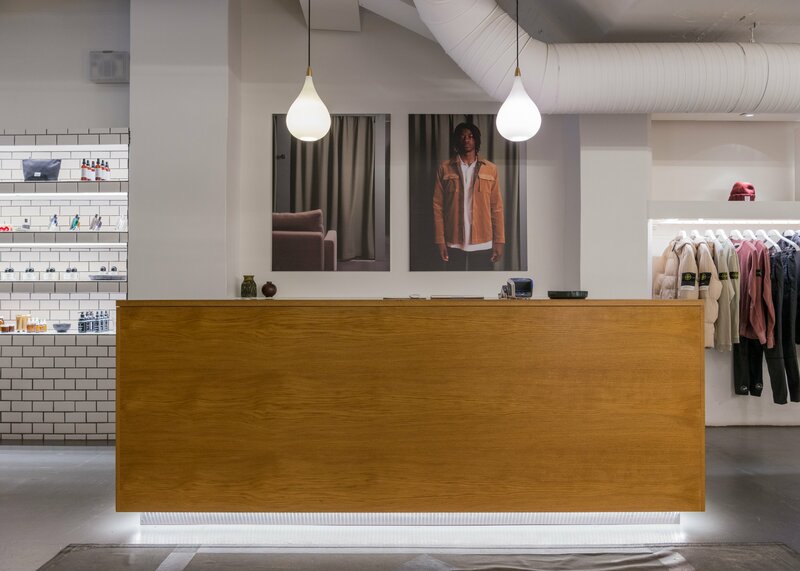 Worn here with pants from Lemaire, jewelry from Lemaire and sandals from A.P.C. which are all sold separately.